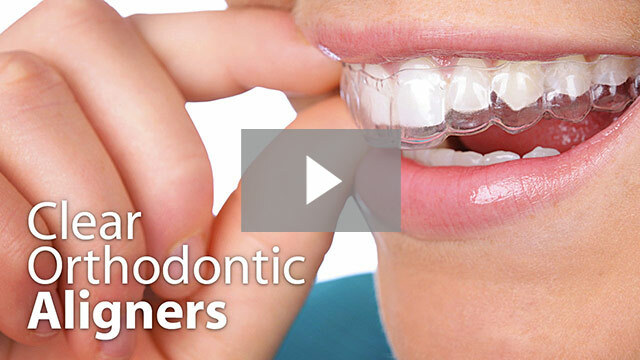 Crooked teeth can make you feel incredibly self-conscious — but so can a mouthful of metal brackets and wires. There’s great news, though: you can straighten your teeth using invisible aligners with Invisalign® or ClearCorrect®. 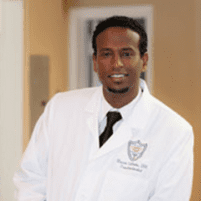 Mussie Sibhatu, DDS, MS, and the team at Laurel Smile Dentistry in Oakland, California, offer both options, so make your appointment online or by phone today. You’ll replace Invisalign aligner sets every 1-2 weeks, depending on your straightening schedule. Typically, you’ll wear the aligners 20-22 hours a day, removing them just for meals and brushing your teeth. The exact amount of time needed for a full correction with Invisalign can vary by patient, but for most adult patients it’s around 12 months. You’ll swap aligner sets every 2-3 weeks, and ClearCorrect recommends that patients wear aligners for a minimum of 22 hours per day. Total treatment time with ClearCorrect varies considerably. It can be as little as a few months, or as much as a few years depending on your specific situation. Which aligner teeth straightening system is best for me? To determine which straightening system is best for you, your Laurel Smile Dentistry dentist does a comprehensive oral exam. Digital low radiation X-rays can help your dentist predict how your teeth will respond to straightening, and which system that might work best for you. You can use proprietary cleaning crystals from Invisalign or ClearCorrect’s proprietary cleaning solution, OAP. Alternatively, your Laurel Smile Dentistry dentist may recommend a standard denture-cleaning solution. Regardless of which cleaner you use, daily cleaning is vital to keep bacteria out of your mouth. If you’re ready to straighten your teeth the invisible way, use the online booking tool or call Laurel Smile Dentistry to schedule your appointment now.